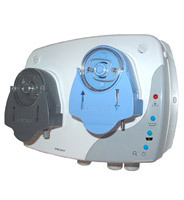 The "Masterdose simple" are electronic metering transfer of a liquid washing or injecting a rinsing liquid. The Masterdoses offer reliable and accurate dosing of your products. 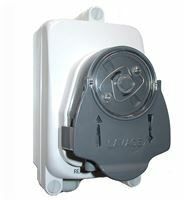 Connected to your machine dishwashing, these devices provide real advantages in cleaning the dishes. - Masterdose wash with input from an initial dose, specially designed for lavebatteries. 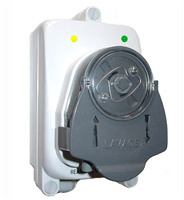 - Masterdose Wash sensor with control of the bath by a resistivity sensor. Place the new generation dispenser. 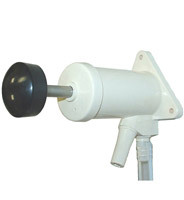 The Masterdose LR and PR Micro bring technical innovations to our product range. More complete, more accurate, more powerful, a real asset to your customers. 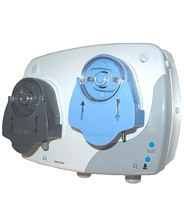 Impeccable precision product for weight and an operating time of optimum pumps. 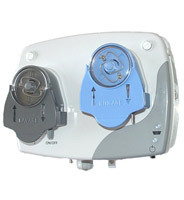 The timer allows adjustment to second for controlled consumption of rinse aid by stopping the pump during filling and get guaranteed results. Specially designed for all single zone machine, this concept will meet all your expectations in terms of metering accuracy. A dual mode function LR / DI mode by simple manipulation of the timer knob. View the settings with the new generation display. The Masterdose LRI provides an initial dose at the first filling of the wash bath to thereby obtain the desired weight at startup. A concept that will meet all your expectations in terms of metering accuracy. 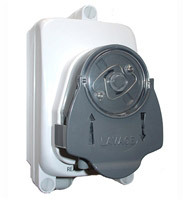 The Masterdose LRS allows a product weight control of the washing bath with a resistivity sensor. There are different versions with micro controller and / or a buzzer alarm for monitoring the product concentration in the wash liquor.